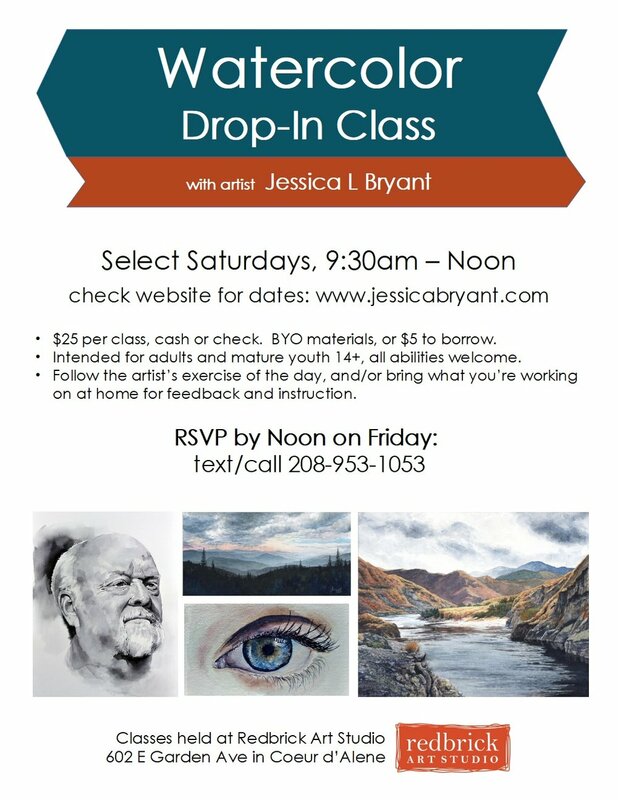 Join Jessica on select Saturday mornings to explore key concepts in watercolor in a small-group setting that allows for individualized instruction. Be sure to RSVP by Friday at noon for class the next day to ensure there is space available. Text or call 208-953-1053. $25, cash or check. Participants may bring their own materials or use Jessica's for an additional $5 fee. Each week Jessica will discuss concepts such as value, composition, controlling water, edge quality, fixing mistakes, and more. Participants are encouraged to bring work in progress from home for input and assistance, and have the option to work independently or follow along on a group assignment.